﻿ More Love for Louisiana, Travel Information, USA Travel Guides, State Parks, Tourism Video, Photos,Top Events, Calendars and things to do. 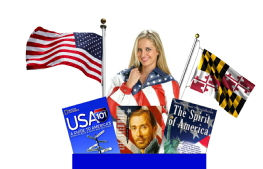 Discover America! 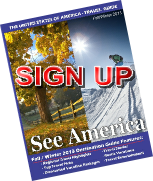 The Best United States Travel Guide and Travel Booking Site to Discover America The Beautiful. Plan your Louisiana Trip now with America The Beautiful! If one word has to be used to describe the State of Louisiana that one word would be Celebration. This is because when one thinks of Louisiana, their heart begins to pound fiercely, and their senses begin to tingle for some unknown reason? That unknown reason can very well, be linked to a number of different aspects of this truly unique place, which has a singular mind and a voice that is distinctly all its own. When Louisiana talks, people do listen, and this is just not the local natives either. People, from all over the world, listen to the very cultural language that it does have in abundance. They also can feel the allure, the old world charm mingled with the new, and last but not least. They are drawn to this very captivating state that has a very rich, as well as colorful history, in addition to lots of other features that are endless. Louisiana is truly a one of a kind state, which is situated in the Southeastern region of the United States, and which has been under the rule of three different flags in the past. Louisiana is known by a lot of colorful terms from The Bayou State to the Pelican State to beyond. This is because, in essence, it is a state that is truly wondrous in every way. Celebration is a regular part of life for the people of Louisiana in every way. Fun is what they live for, and know, in addition to being a strong part of spirit in this very captivating southern realm. 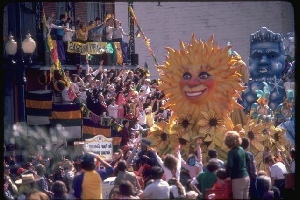 It was the French who first brought Mardi Gras to Louisiana, and since the time it first arrived, Mardi Gras has only managed to add to the spirit of Louisiana over its long history as an American state. Now, Carnival is far more than just a simple event, which was celebrated just before the beginning of Lent. 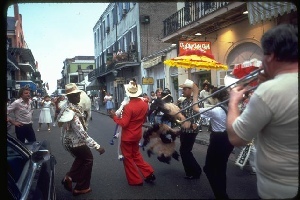 In Louisiana, it is a part of life, and an extravaganza that only adds to life for locals/visitors alike. Mardi Gras is a festive time beyond festive with lots of street parades, people in costume, music, street dancing, and the list goes on from there. Mardi Gras is indeed the height of State of Celebration here. There is nothing more fascinating then planning on visiting Louisiana, during the time of Mardi Gras, just to get a close-up view of the festive air that is everywhere! It is literally contagious and is catching. So expose yourself to it freely. Louisiana is a state that truly has it all, from lots of entrancing natural beauty, the very rich heritage of French, Creole, and Cajun influences, right down to a one of a kind way of life that also has many engaging facets to it too. What are these facets? They are no other than mouth-watering and delectable food fare such as gumbo, jambalaya, crawfish, shrimp creole, potatoes au gratin, Cayenne pepper, andouille sausage, the list goes on. 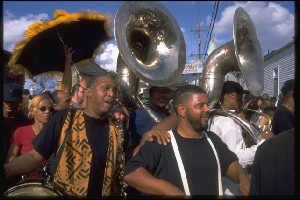 Some of the other engaging facets include music, and these famous music forms include jazz, blues, and of course zydeco. Louisiana is indeed the place to be year round. If you are an individual that knows and truly appreciates the meaning of celebration on all fronts. In addition, to Louisiana, having a very bewitching pull about it naturally, it also has just as equally captivating cities that draw tourists from all around the globe yearly. The two cities, which are the most famous here, are no other than Baton Rouge and New Orleans. First of all, Baton Rouge means little “red stick”, and it is the capital of the State of Louisiana. Baton Rouge is a very colorful city in its own right and its history dates back as far as 1699 with the French explorer named Sieur d'Iberville. The first settlement of Baton Rouge that was done by Europeans came about in 1719 and it was governed by France, Britain, Spain, Louisiana, the Florida Republic, the Confederate States, and The United States. The City of Baton Rouge was officially incorporated in 1817 and became Louisiana's state capital in 1849. The Louisiana Capitol Building in Baton Rouge was designed by the noted architect named James Dakin and is considered to be one of the most distinguished of all Gothic Revival architecture in all of Louisiana. In addition to, the Louisiana Capitol Building, there are lots of other attractions and landmarks in Baton Rouge to behold. Some of these other points of interest are the Memorial Tower (LSU), Tiger Stadium (LSU), Shawn Center For The Arts, and Baton Rouge Gallery, among many notable things to see and do here. New Orleans, as well as Louisiana, is definitely the State of Celebration in all the ways that matter most. It is definitely the Toast of the South and the Paris of the South rolled into one. No other state has the powerful pull that this southern state seems to possess in abundance. This is also the place to be, for lots of interesting travel, sightseeing, and pure leisure time. Please do see America, national parks, state parks, and great cities. Louisiana is a great state, which is also filled with lush and scenic state parks, in addition to great cities such as are Baton Rouge and of course New Orleans.